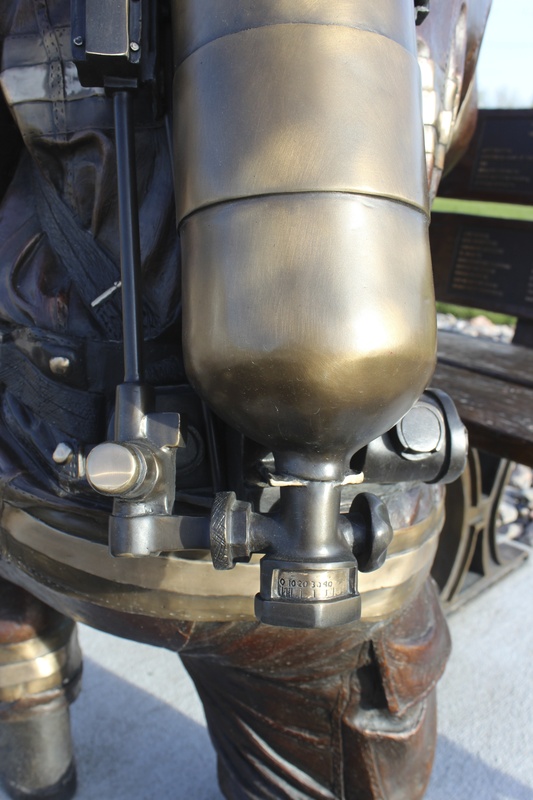 Evoking trustworthy enthusiasm for the profession of firefighting, “Follow Your Heart” is a welcoming feature in front of the Windsor Severance Fire Rescue fire station. 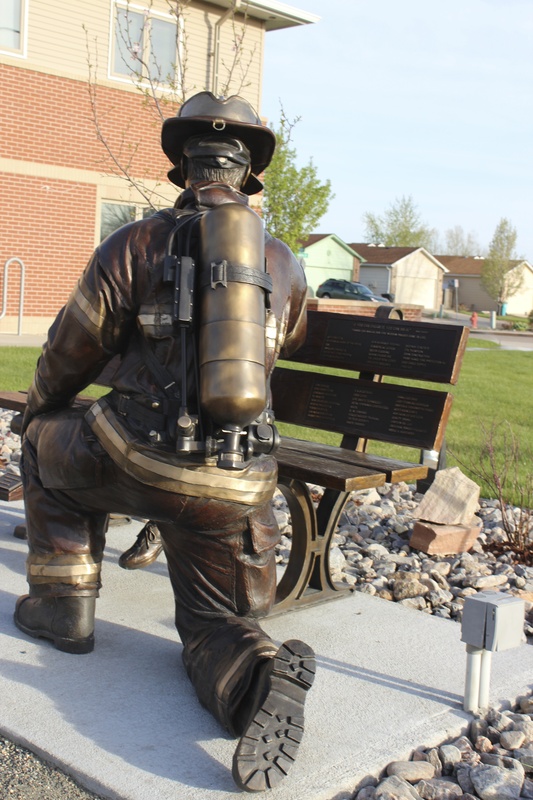 A young boy sits on a bench, his face upturned toward a firefighter with a rapt expression clearly lighting up his face. He is thrilled to have the attention of a genuine hero. That boy could easily be me. When I was young I was so inspired by the events going on at the fire department across the street from my home in Chicago that it became my dream to be a firefighter. 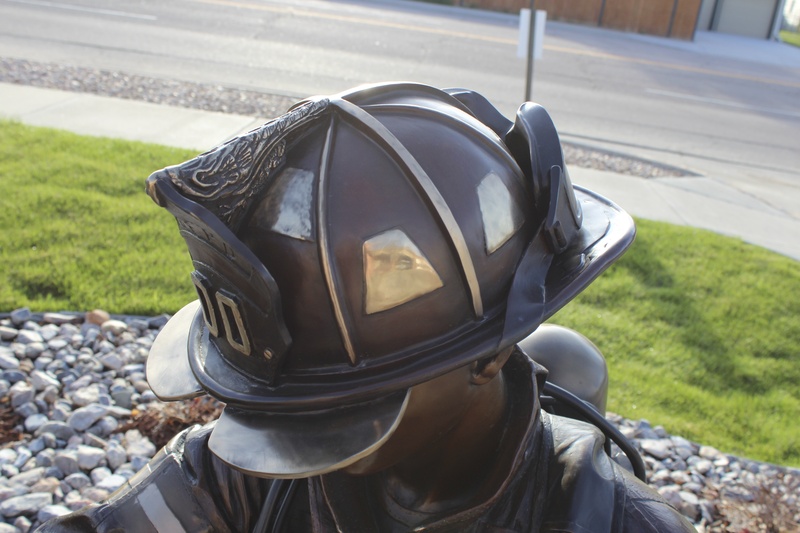 By “following my heart” I am able to pursue my duo passions of firefighting and creating sculptures depicting the strength and valor of firefighters. And I love every minute of both endeavors. Note the details as the firefighter responds to the child. From his hand on the boy’s shoulder, to the wrinkles in his full fire suit, the helmet insignia and the tread on the soles of his boots, he comes to life as someone who is both tough, yet truly committed to kindness toward children. The sculpture is a symbol of long-lasting durability that will weather the seasons for decades. The indomitable spirit of those whose calling is to save people and keep them out of harm’s way is also demonstrated in art the whole community can share.